As a parent, do you struggle with trusting God’s will for your life and for those you love? Are you tired and afraid? 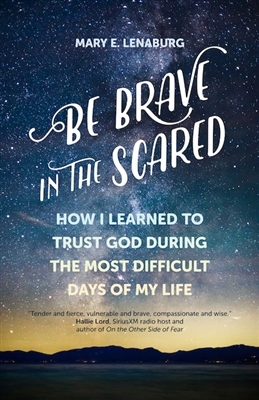 In Be Brave in the Scared, Catholic writer Mary Lenaburg shares how the overwhelming demands of caring for her severely disabled daughter ultimately taught her—and can teach you—that trusting in God and accepting his will can lead to profound joy, no matter what challenges you face. 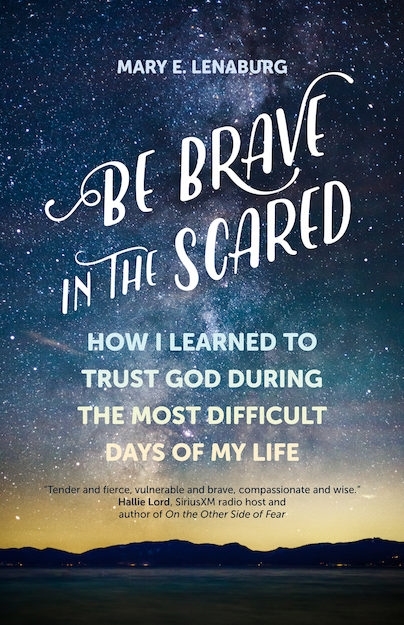 Be Brave in the Scared is an uplifting account of human frailty (and stubbornness) surrendered to faith. Lenaburg tells the heart-rending story of how caring for her severely disabled daughter affected her self-image, marriage, family life, and faith. Although she initially struggled to accept God’s will and her own limitations, Lenaburg ultimately learned how to trust God. She found in that trust inexplicable joy, even during the most difficult days of her life. She writes boldly and authentically about challenges we all encounter, such as trials with control, blame, exhaustion, fear, and acceptance. Each chapter concludes with an invitation to write and a place for readers to express their thoughts and feelings. Lenaburg’s extraordinary story affirms that God’s redeeming love never fails and that he is there to help us through all of the challenges we encounter. Mary grew up in a large Catholic family with 6 brothers and a sister and had her own football helmet in the 3rd grade. She always wanted to be a wife and mother, and pictured her children in the perfect Catholic plaid uniform. Upon meeting her husband on her first and only blind date, she was confident she was on her way. But God had a different plan. She gave birth to her son Jonathan in 1989 and her daughter Courtney arrived August 1992. On September 27, 1992, while being baptized, Courtney had the first of many grand-mal seizures. Going from the church to the emergency room, Mary’s world changed forever. There is no such thing as a perfect life. For the next 22 years Mary and her family took a spiritual journey that led them to Lourdes, France, numerous hospitals and specialists with their daughter and finally to home-based hospice. Courtney took her last breath this side of heaven on December 27, 2014, the feast of St. John the Beloved, while in her mother’s arms. She is now her parents and big brothers most powerful intercessor. Along the way, Mary and her family came to understand that God does not make mistakes. Every human life, no matter their ability or disability, has value and worth. Courtney’s unique ability to love without ever speaking a word, taught Mary and her family that everyone has a purpose and a mission. Words are not required. They came to accept that Courtney would never be healed on this earth and allowed God’s plan for their family to unfold, trusting in His plan for each of them.